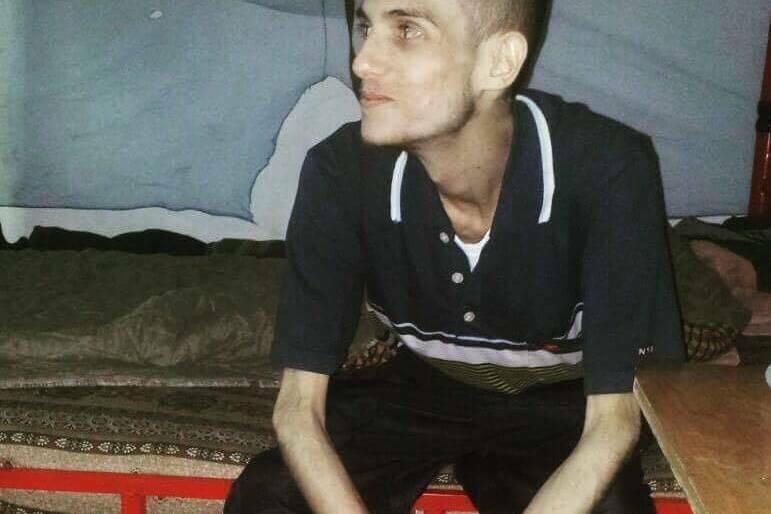 Torture Victim Describes Atrocities In Syrian Prison A report by Amnesty International says the Syrian government committed mass murder in a prison outside Damascus. Omar al-Shogre, a former prisoner who appears in the report, describes what he endured. Omar al-Shogre says he spent 10 months in Sednaya prison. He says he was arrested at age 17 and was in various Syrian prisons for more than two years before he was sent to Sednaya. A report released Feb. 6 by Amnesty International says the Syrian government committed mass murder in a prison outside Damascus. In the report, Amnesty International claims as many as 13,000 people were killed at the Saydnaya military prison — typically in mass hangings — from March 2011 until December 2015. The Syrian government has called Amnesty International's report "completely untrue" and "baseless." NPR cannot independently verify his story, but he is featured in the Amnesty International report. Shogre tells NPR's Robert Siegel that he was arrested and then released for taking part in anti-government demonstrations in 2011. After that, he says he was arrested seven more times. "I only participated in peaceful demonstrations that included carrying roses and chanting," Shogre says. "But I have never participated in any violent resistance." Shogre says the conditions in Saydnaya were much worse compared to other prisons where he was previously held. "In Saydnaya, we were faced with the reality of either dying or killing one other prisoner," he says. "And sometimes these prisoners are your family; they are your cousins, your parents. You get to a point where you know that you will either have to kill someone else or you have to die yourself." Sometimes the wardens came with a knife or a rope, and they asked prisoners whether they had relatives or friends in prison. And once they identified their friends and relatives, they gave them one of two options: either killing their relatives or being killed themselves. That prison, called [Branch] 215, was a nightmare beyond anyone's imagination. There were worms eating human flesh. There were people eating each other in the prison. Diseases were unbelievable. People were thirsty and hungry at all times. But now, in retrospect, 215 was heaven compared to Saydnaya. In the first prison, 215, at least we knew what was going on. We could hear things, we could see things and we could know what our fate would be. In Saydnaya, we didn't know anything. We're just sitting there waiting for punishment, always living as if this is the last five seconds of your life. You don't do anything because you're kept in a room, and you don't know when you're going to be killed because the prison wardens were telling us that we would be hung anytime soon. We were requested by jailers to kill each other. Sometimes the wardens came with a knife or a rope, and they asked prisoners whether they had relatives or friends in prison. And once they identified their friends and relatives, they gave them one of two options: either killing their relatives or being killed themselves. And in many cases, being killed themselves included also being tortured before being killed. The goal was not to gather information. I was in prison for two years before I was sent to Saydnaya, and I would say the first month was for real interrogation. I was tortured [in] the first month, and I was asked questions. And like everyone else, I lied just to make torture stop because everyone lies under torture, just to let them stop. I told them that I was a terrorist. I told them that I had tanks and RPGs and weapons. I said anything that would let the torture stop. When I was in 215, that was a place where they asked us for questions, and that is the place where interrogations happened. But when you're moved to Saydnaya, that's the place where you moved in to die. I'll tell you why I am a positive person. That prison had amazing scholars and scientists in it. We had people who invented medicines for us when we were in prison. We had people who taught me everything about life. In my one foot of space in that prison, I had an attorney in front of me, a doctor next to me, and an engineer next to me, and a teacher behind me. And these people and others taught me a lot about life. And I came from hell and now I live in Sweden, in a very easy place to live in. Of course I would be positive.